Life on the Tres Hombres existed so far much wait. Before we left from Den Helder it took almost a week before the ship was ready. During the week sailing to Douarnenez was regularly waiting for wind. And now here in Douarnenez was first waiting for the tug and later on the customs paperwork for the rum that we had to resolve here. But all that waiting is just. And it is also a beautiful way to ship, to get to know each other and the places. In addition, there is always work to be carried out on a ship so bored don’t really need. The week sailing was very intensive. Despite that for me the second time, it is for me also searching for the right ropes. And the order in which you had to again draw, or which are line, hoisting the Topsail? And that over night, while the cold water into your boots, you lose your balance by the pounding waves and you hardly understands the command of the mate in the noise of it all. But if it is successful and you tired to your warm cot back mag is though again so tasty! But that rest is for short-lived, because you may there after four hours off again for the next shift. And yet it’s all very cool. What a ship, so cool to on wind power, without help of a moter, the freight and transport yourself. Bass and I were sitting this first stage in another shift. And as Bass in her bed to come harder, we shared the bed, but we were never at the same time. Advantage is that your bed still warm is of the other. When I went to bed and go outside to the times heard and felt I had to do her best. I was hoping then but that they still somewhat liked it, because for her it’s finally called the first time. But she strikes itself there, as expected, good through it. 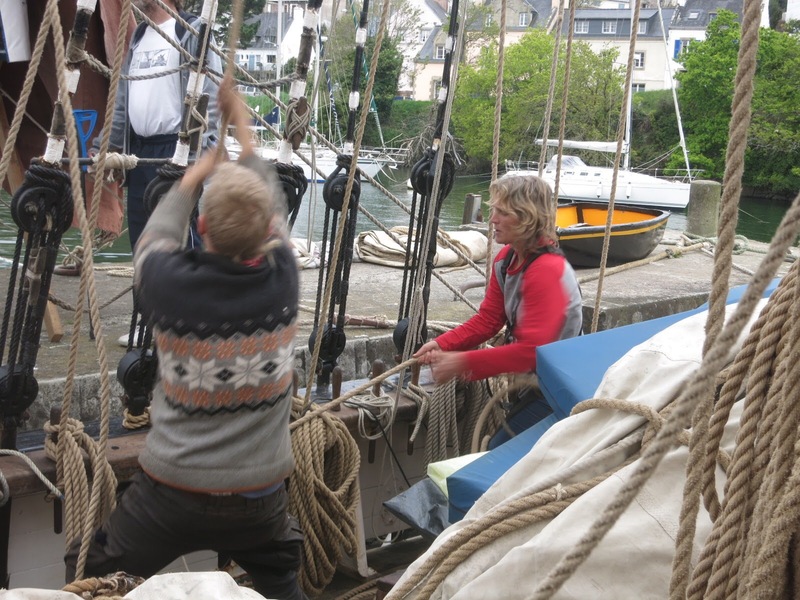 There is still a lot to Douarnenez carry experienced people, especially French who had worked on the ship. But those are gone now, now are we, along with the crew, the experienced people. Next trip, we must help the two new trainees. That is so exciting because there are also a lot less people on board, so that is roll up your sleeves! The new shift format we know yet, but we think we will not put us together in one shift, so again separated from bread, but not from bed for the next trip. That next trip left some waiting because we had to resolve here 4 vessels rum for which the papers were not in order. The truck this morning would eventually come, everything was settled. So were the vessels unloaded by hand and on the quay. But, there was no truck. After many call it turned out not to go on, the vessels had to back again. The barrels are now going so a round over the ocean. 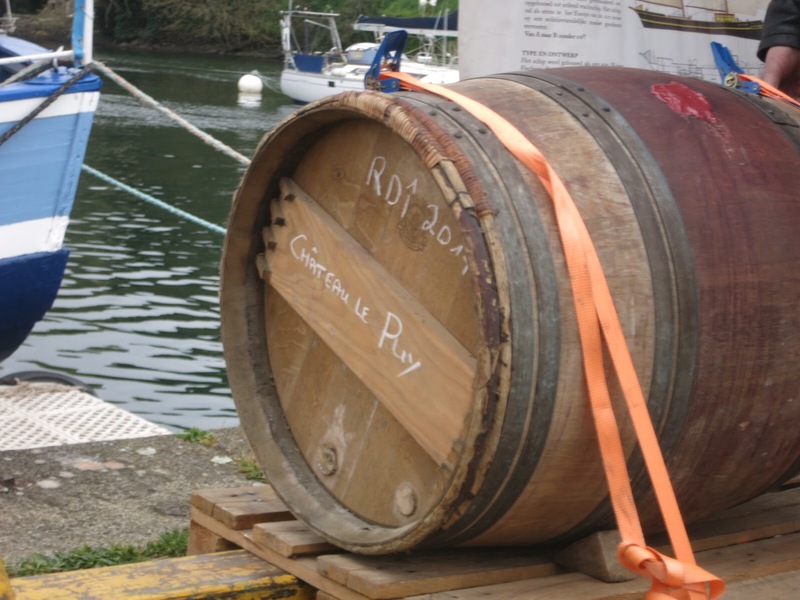 Just like the barrels wine that we have on board, but that’s the intention. 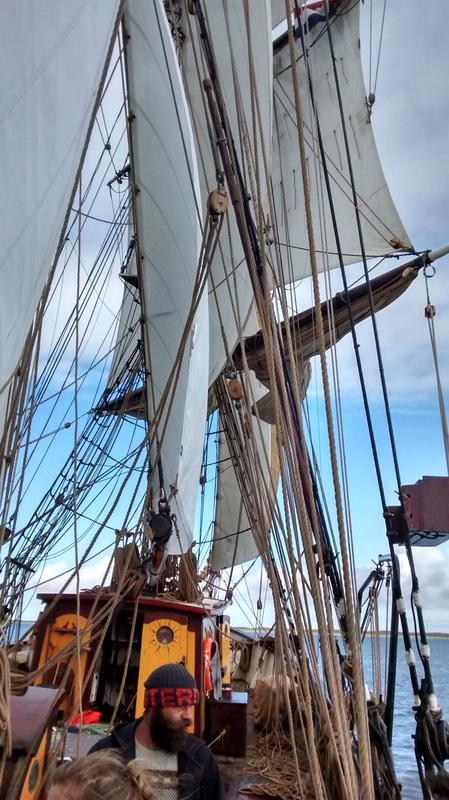 It seems that the wine there by the many rocking and the gradual climate change so much better on is that it is cost-effective enough to the wine through the Tres Hombres the ocean around. Strange guys, these Frenchmen. Along with a number of empty barrels we go tomorrow so finally on. On to Madeira! The distance is double that of the previous stage. But the weather and wind forecast is favorable, so we hope this stage very fast. There are certainly fun and less fun moments, but we are looking forward to it. We have had the wait, it’s still too cold to hang out on the deck, so we have sense inaction. Madeira, here we come! Photos from Den Helder to Douarnenez. Pictures of our stay in Douarnenez.